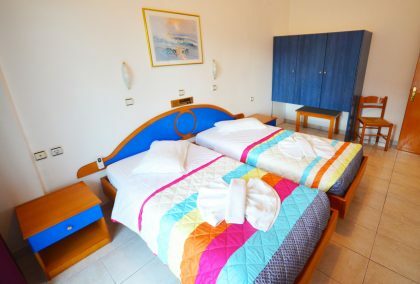 Welcome to Nitsa Apartments – Tilos Island. We offer our customers 9 apartments. All are located in a private lush green garden and offer quality accommodation in a family environment. You will have the chance to enjoy holidays in serenity and comfort. You are welcome to explore our website and discover the secrets of our little paradise!!! Eristos is one of the most beautiful beaches of the island, where we created one special complex just 100m (330ft) far from the sea consisting of Nitsa apartments, En Plo Restaurant and a Mini market. 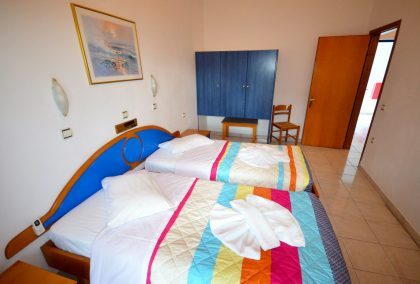 The air conditioned apartments are spacious, perfect for families.Nitsa Apartments offers a continental breakfast on and self-catered accommodation overlooking the garden or sea from its balcony or terrace.